Screencast-O-Matic’s free screen recorder is used by millions around the world, from educators to businesses to bloggers. There are numerous ways you can use a screen recorder. You can record how-to videos, tutorials, product demos and more! There’s so much you can do with Screencast-O-Matic’s free screen recorder. You may have asked yourself, ‘how do I record my screen?’ Here’s how! 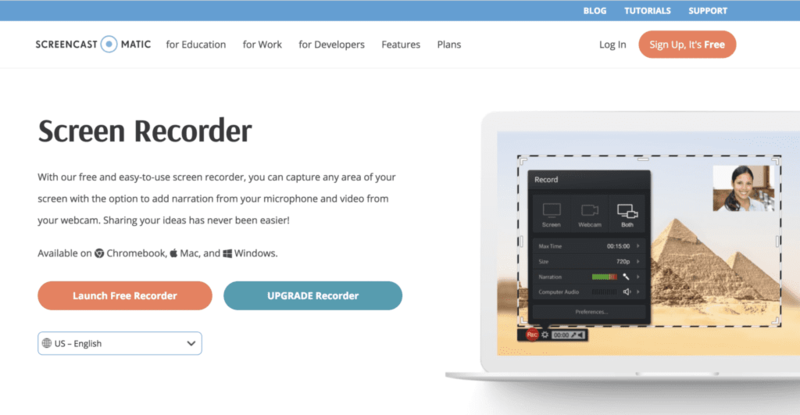 Check out Screencast-O-Matic’s Beginner’s Guide to using the free screen recorder and how to get started. You’ll be recording within minutes! A pop-up will appear indicating that the recorder is being launched. If it doesn’t appear, you have the option to download the recorder. Within seconds, you’ll notice the recorder on your screen and you can start recording. There are several options to choose from when recording your video. Let’s go over the controls so you can see how much you can do with your recording. There are three options when recording your video. You’ll find those options on the top of your recorder box. Screen – This allows you to record anything within your recording frame. Webcam – You can record your webcam. Both – This option allows you to show your webcam AND your screen at the same time. This is often used when you want to point out something on your screen but still have your webcam up. Max Time – The maximum time to record is 15 minutes. With an upgrade, you can record for as long as you want. Size – You can adjust your recording frame with preset sizes (480p, 720p, Active Window or Full Screen) or you can adjust it by dragging the corners and sides of the frame. Narration – The app will detect audio sources connected to your computer. Computer Audio – The free recorder will only capture narration. To capture computer audio requires an upgrade to our Deluxe plan. Once you are finished recording, there are several options you can use in your recording manager. Trim – You can trim the beginning or end of your video by dragging the bars of your video. Upload options – There are a few upload/publish options you can use in the free screen recorder. Save as a Video File – You can save your recording as a video file. You can choose either an mp4, avi or flv video file. You can save your recording in a folder on your computer or laptop. Fill out the filename and hit Publish. 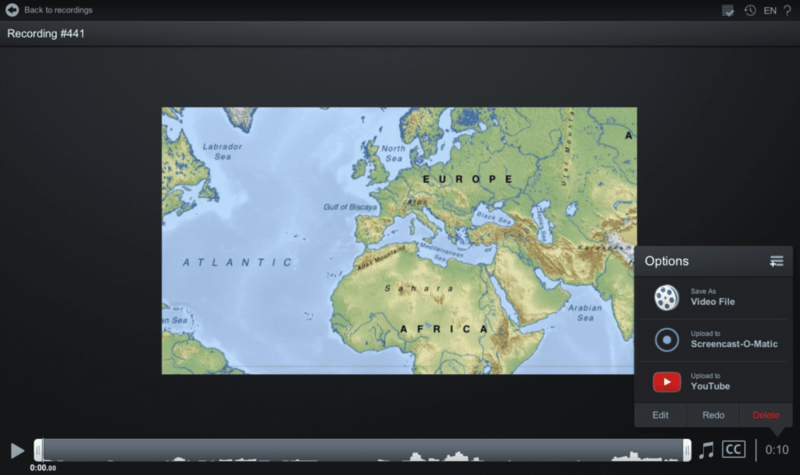 Upload to Screencast-O-Matic – You can upload and get a link to share your recording. To do this, you’ll need to sign up for an account or connect your existing one. Share on YouTube – If you haven’t linked your account, all you need to do is click on ‘launch web browser’ and follow the steps. Once that’s all done, fill in the information and it will upload directly to your YouTube account. Upgrade for more uploading options. By clicking on the ‘+’ button on top of your menu, you can publish to other sites including Vimeo, Google Drive, and Dropbox. There are numerous ways to create a video just by doing a screen recording. 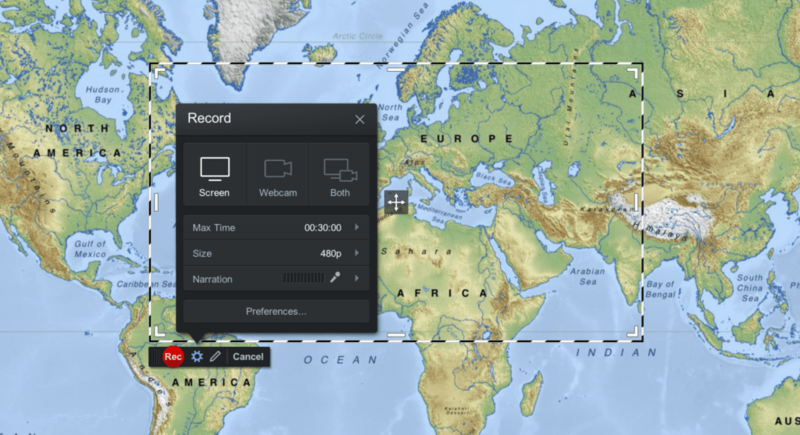 Go ahead and use Screencast-O-Matic’s free screen recorder and create those recordings! You can follow Screencast-O-Matic on Facebook, Twitter, Instagram, YouTube, Google+ and LinkedIn. You can also visit our blog and video tutorials to gain more insight on how to add more to your videos. About Screencast-O-Matic: Screencast-O-Matic is a screen capture and video service, taking visual collaboration to the next level. It allows individuals, learning institutions, and companies to create video solutions for learning and collaboration. Screencast-O-Matic is a privately held company headquartered in Seattle, WA. For more information, visit https://www.screencast-o-matic.com.